The BBC is out of touch with what children are thinking. Research by BBC Worldwide said Doctor Who didn't stand a chance because they were addicted to the Xbox and going online. APA 6th ed. : (2009-03-23). The BBC is out of touch with what children are thinking. The Guardian . MLA 7th ed. 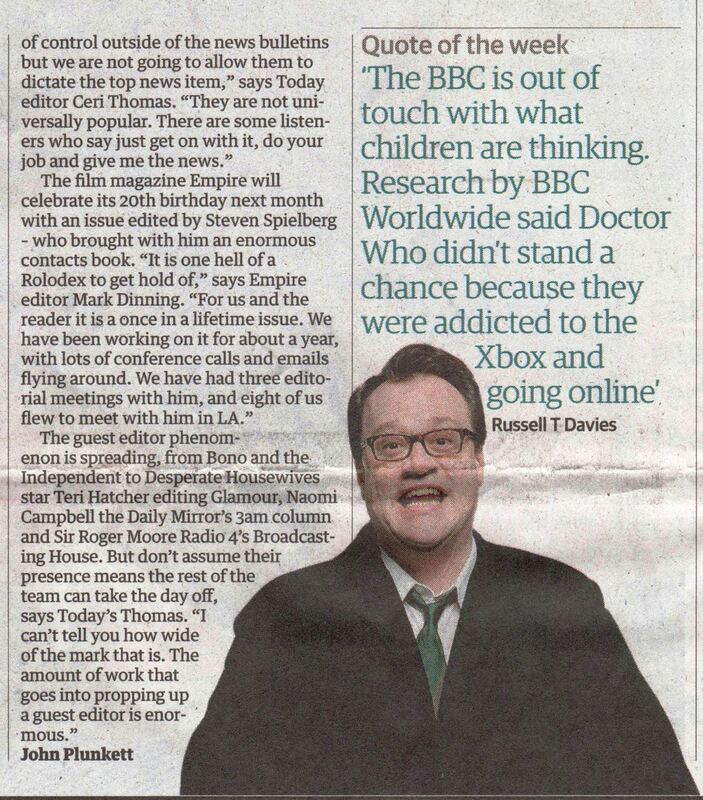 : "The BBC is out of touch with what children are thinking." The Guardian [add city] 2009-03-23. Print. Turabian: "The BBC is out of touch with what children are thinking." The Guardian, 2009-03-23, section, edition. This page was last modified on 27 October 2016, at 21:05.